ROSARIO, Argentina -- How much do you love your club? The answer is probably not as much as Marcelo Bielsa loves Newell's Old Boys. For those who perhaps haven't followed much of Bielsa's well-travelled career, last Wednesday's news conference, in which the Argentine gave a 70-minute lecture into the minute details on how his coaching staff spends 300 hours on preparing for a single game, including spying on opposition training sessions, provided a short introduction. 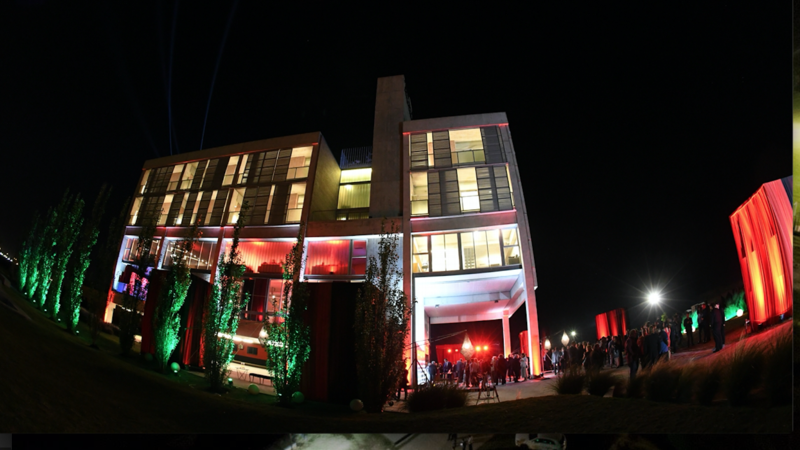 Take that level of detail, combine it with his love for Newell's, introduce the concept of a Bielsa-inspired building and you get hotel "Jorge Griffa," which opened last November inside the Argentine club's training facility on the outskirts of Rosario. The story goes that Bielsa had a quiet word with then club president Guillermo Llorente back in 2014 and told him he'd like to build a hotel for the club's first team. The catch? Not one. It was simply an act of gratitude from a former head coach to a financially strapped club, albeit one the Rosario native splashed out an estimated $2.5 million -- likely more than Bielsa has earned with Leeds over his first six months at the club -- to make happen. Oh, and it had to be carried out to Bielsa's specifications, which he had laid out in a detailed master plan with his architect sister Maria Eugenia. Bielsa kept in regular contact throughout the construction of the hotel and there were even unconfirmed rumors that he visited the site regularly before taking the Leeds job, obviously in the evening when everyone had gone home. Leeds manager Marcelo Bielsa used $2.5 million of his own money to build El Hotel Griffa for hometown club Newell's Old Boys. "He could've stepped up and said, 'Here's the project, I want them to do this and here is the two and a half million [dollars],'" explained head of construction for the hotel Jose Luis Conde to ESPN FC during a recent tour of the facility. "He took an extra step and committed his family ... so it's not just the economic part, it is total commitment in saying 'I'm handing over a finished product.' It's different than handing over the money and nothing else." The five-story building at the Jorge Griffa training ground -- until recently it was known as Bella Vista -- is for the first team, to be used between training sessions, to sleep at ahead of home games and for preseason if required. This isn't a luxurious hotel; it's a building designed to keep football players focused on the job at hand, although it is probably more comfortable than the military barracks that Bielsa used to prepare his Newell's players in when he was coach between 1990 and 1992. There are 12 rooms for players -- each has two beds with an en-suite bathroom -- on one side of the hotel. On the other side is the coaching staff's section. It contains a large room for the assistants to share and a more spacious and private room for the head coach, with stairs leading down to a general planning and meeting room for the coaches, which looks out onto the training pitches. There is a kitchen and dining room, a computer area, a table tennis table, spaces for the typical Argentine barbecue, an elevator and a big living room in which team meetings can be held and tactics and training plans discussed. The whole building is decorated from top to bottom in Newell's red-and-black colors, from the bed sheets to the furniture and cutlery. The walls are adorned with photos of figures from the club's history, such as Gabriel Heinze, Gabriel Batistuta, Gerardo "Tata" Martino, Maxi Rodriguez and Jorge Valdano, and important title wins through the years, or motivational phrases. Sound-proof material was used in rooms so players can be fully concentrated, the doors are higher than the standard in Argentina, and the huge steel staircase was sent to Buenos Aires to be galvanized, so that the club wouldn't have to pay for it to be painted every few years. Every detail of Newell's Old Boys' new team hotel seems to have Marcelo Bielsa's imprint on it. "You have to solder [the staircase, railings and beams] before galvanizing or else the solder wears off," stated Conde. "There isn't a vat big enough here in Rosario so we put it onto a truck and took it to Buenos Aires to be galvanized and did the same with all the beams. They are the little details that most people don't appreciate, but that highlight the commitment to the project." But there's one detail Bielsa didn't design and was almost certainly added in there by his sister: there are 22 holes in the wall in the car park in tribute to the brains behind the hotel -- the No. 22 in Argentine betting phraseology is "El Loco." "What Marcelo Bielsa has done here is an important detail," said Griffa at the hotel opening. "It fills us with satisfaction to think that someone who loved and still loves Newell's made such an important gesture for its growth, not just in football terms, but also in everything that surrounds it." Griffa ended his speech by saying that Bielsa "will someday come back to the club." Touring the building and especially the coach's quarters, the only thing seemingly missing is Bielsa himself, although Leeds United fans will be hoping that day doesn't come too soon. The West Yorkshire side currently sit atop the English Championship and have real ambitions of playing in the Premier League for the first time since 2004.